SS Obergruppenführer, Commander of the 5th Panzergrenadier Division Wiking. 26-02-1966, age 69, Stemmen, near Hannover. Gille, Herbert Otto, born 08-03-1897 in Gandersheim, Harz as the son of a factory owner. He transferred from the upper secondary school to the cadet school and became an Ensign when he was 17 years old. He began his military career as a first lieutenant in the artillery branch during the First World War and won the Iron Cross First and Second Classes. He left the Army in 1919 and remained a civilian working in agriculture and as a car dealer until 1931 when he joined the Nazi Party and the SS. He married Sophie Charlotte Mennecke on 04-01-1935 and his only child, a daughter, was born on 09-10-1935. In 1934 he was re-activated by the SS combat support forces. He became a Company Commander in Ellwangen, then a Battalion Commander of the SS regiment Germania in Arolsen. He later served as the commander of an artillery unit in Jueterbog. As the commander of the 1st Battalion of the SS-V Artillery Regiment Gille participated in the invasion of Poland and in the Western campaign. In 1940 he took over the artillery regiment of the 5th SS Panzer Division “Wiking” , led by SS Obergruppenführer, Felix Steiner . After the assault on the Soviet Union, Gille, as a leader of an advance guard, reached the Kuban and received the Knight’s Cross on 08-10-1942. Shortly thereafter he took command of the Wiking Division, Panzer Division on the Eastern Front. Early in 1944, Gille was instrumental in the withdrawal of his command and others of the encircled Group Stemmermann through “Hells Gate” during the Korsun cauldron encirclement, also known as the Cherkassy Pocket. The Soviets greatly outnumbered the German forces but they failed to cut off their retreat, though they were able to inflict serious damage on the German formations. 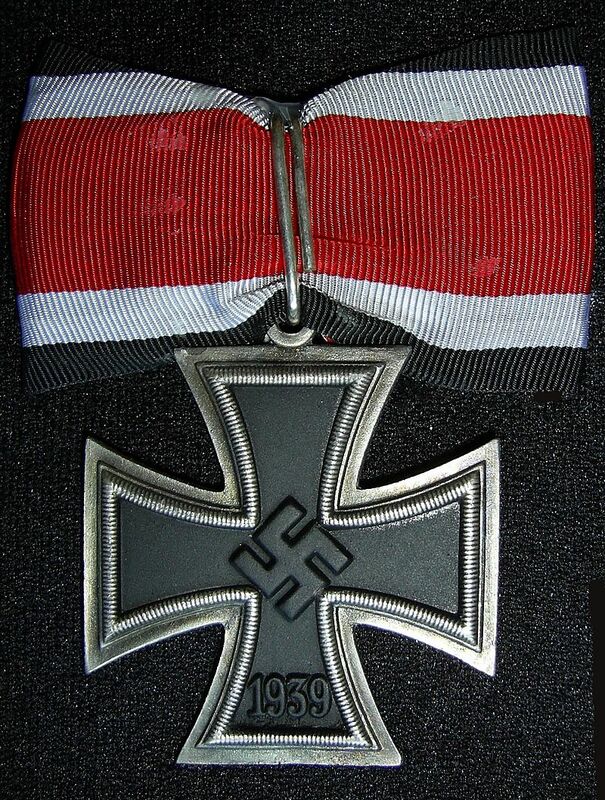 Gille received the Diamonds addition to his Knight’s Cross with Oak Leaves and Swords on 19-04-1944, from Hitler in present of Reichsführer SS Heinrich Himmler and SS Gruppenführer Hermann Fegelein, married with Eva Braun‘s sister Margarete Berta “Gretl” Shortly after his escape from the Cherkassy Pocket, Gille and members of his staff were flown into the encircled town of Kovel to organize its defense. Under Gille’s steady leadership the mixed army and Waffen SS units maintained a vigorous defense until the siege was raised by approaching German units from the West. His troops stood strong on the East Prussia border with the 3rd SS Panzer Division Totenkopf, under Generalleutnant der Panzertruppe, Fritz Bayerlein, and prevented the planned Soviet breakthrough to Berlin in the autumn of 1944 destroying large numbers of Soviet tanks. In January 1945 Gille, as leader of the IV SS Panzer Corps comprising the 3rd “Totenkopf Division and 5th SS Panzer ” Divisions “Wiking Division” under SS Standartenführer , Johannes Mühlenkamp, was sent to Hungary to attempt to relieve the encircled city of Budapest. However, his troops were unable to break through to the city. In March 1945 he led the IV SS Panzer Corps in the failed Lake Balaton Offensive and following the Soviet counter-offensive his corps was forced to retreat into Austria. When the end of war was clear, he marched towards the U.S. troops in order to avoid surrendering to Soviet forces. He was held by the U.S. for three years, and released in May 1948. Gille was highly regarded for his leadership qualities and tactical abilities. He commanded Waffen-SS units at the regiment, division and corps level with distinction during the war. Total casualties amongst the Waffen-SS will probably never be known, but one estimate indicates that they suffered 180.000 dead, 400.000 wounded, and 40.000 missing. World War II casualties indicates that the Waffen-SS suffered 314.000 killed and missing, or 34.9 per cent. By comparison, the United States Army suffered 318.274 killed and missing in all theatres of the war. Gille was popular with his men and admired for his personal bravery. He was well-known for the unusual walking-stick he carried. After the war he worked for a newspaper until 1958. He also owned a small bookshop. Gille was the founder of a magazine for veterans of the Wiking Division, “Wiking Ruf”. Gille was very much valued as a genius tactic and as someone with great leadership skills. During his long military career he successfully led regiments, divisions and a corps. His inferiors admired his courage. He was respectfully cold “old”. Death and burial ground of Gille, Herbert Otto. On 26-12-1966 Herbert Otto Gille died of a heart attack in Stemmen, near Hannover, age 69. He is buried at the local cemetery in Stemmen. However, his gravestone no longer exists. On his last journey Gille was accompanied by 800 friends from European countries and the last leader of the Wiking Division SS Oberführer Karl Ullrich gave an eulogy. Karl Ullrich survived the war and died old age 85 on 05-05-1996 in Bad Reichenhall. Cemetery location of Gille, Herbert Otto.